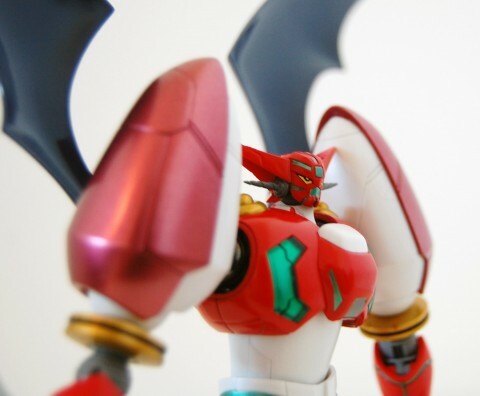 Courtesy of our good friends at HobbyLink Japan we’ve been sent the Super Robot Chogokin Shin Getter Robo 1 as seen in Change!! Shin Getter Robo (though its origins predate that by quite a bit). In addition, we’ve also included some game and anime footage of the mecha in action at the end of the review. You can now pre-order the Todd Guiness and Tokamak Rovsky coloured Robot Damashii Dunbines via Bandai’s online premium shop. These are shortlived units from Aura Battle Dunbine, leaving only Show Zama’s iconic mauve Dunbine to hold out for the remainder of the series. Whilst we already bought the other Robot Damashii aura battlers we may pass on these but it’s pretty cool that Bandai are at least doing toys of them. Buying both toys will cost you 8,400 yen and they will be released in April of next year. Now that the Robot Damashii Dunbine is in the wild, Bandai have created a rather wonderful page for their new Aura Battler toys. Showing the previously released Billbine as well as the forthcoming camo-coloured Billbine too. Not to mention the wing calibur attachment has been revealed in detail finally. 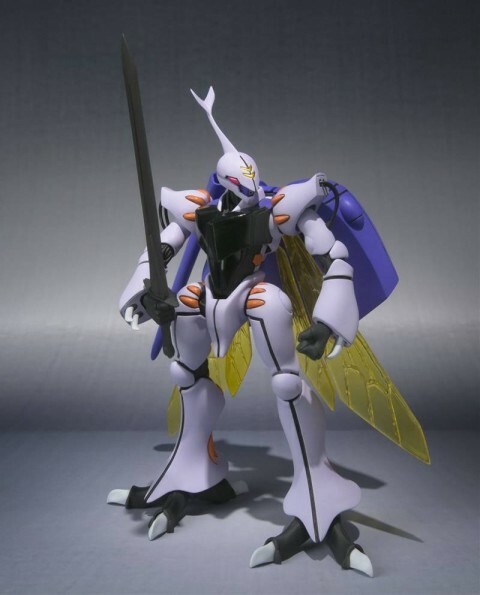 What’s especially lovely about this toy though, despite the fact we love Aura Battler Dunbine, is that people like Hidetaka Tenjin have been posting pictures of the toy squaring off against cats. In any case, the toy does look lovely and we can’t wait to get ours in the post. 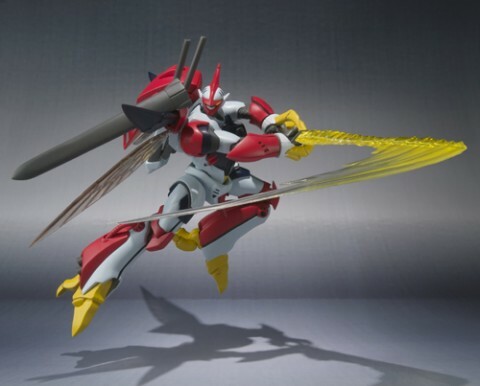 Bandai have announced the later alternate colour version of the Billbine as one of their premium online shop only items. Pre-orders start today and the toy will be released in February of next year. Costing 4,275 yen it’s in the same price range as the original, though if you can find the latter at that price then good luck (as it’s already pretty rare now). If you live outside Japan then getting a hold of this will be a bit tricky but we will be nabbing one for sure. 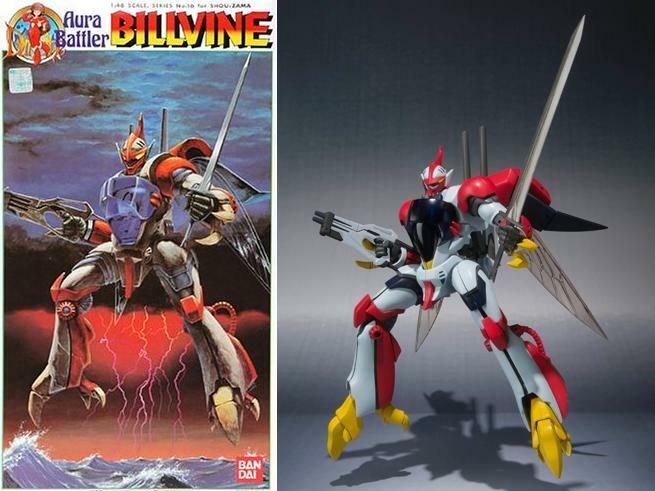 As “upgrades” go in anime, the alternate colour for Billbine didn’t actually do that much. Rather it was the supposed result of field maintenance and parts replacement during the extended battles back on Earth. Personally, we prefer the original colour scheme but the dark blue and green colours do make it look pretty tough. 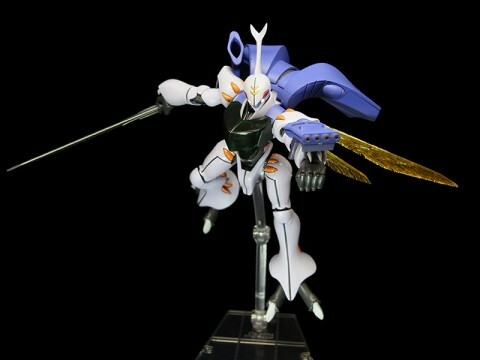 As we mentioned previously, the positively regal Billbine will be receiving a Robot Damashii toy this July. Even more wonderful is the fact that Dunbine will also receive similar treatment later this year. For long time readers of this site you’ll know we seriously wub Aura Battler Dunbine and these toys are just exquisite. The fact we’re also getting a Dunbine and one of this quality is really fantastic as far as we’re concerned. 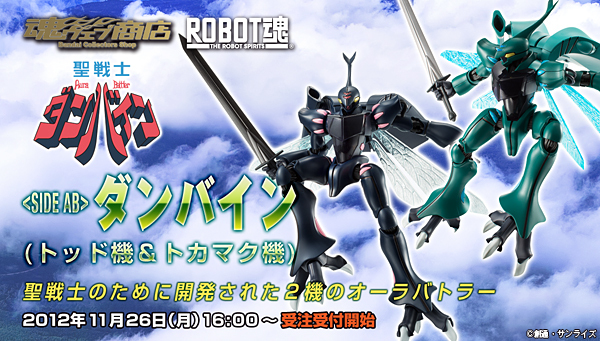 In any case, this Dunbine toy will be out in October of this year and will cost 4,410 yen. Bandai have finally updated their product page for the forthcoming Robot Damashii Billbine toy, set for release this July. As revealed recently, the toy will indeed transform into wing caliber mode as well as afford a nice effect for the aura sword (pictured above). What’s not clear at present is whether the cockpit will contain a figure of Show Zama (or even if it will open) and if the aura cannons at the rear will fold down as they do in the series. We still love the sculpt of this toy though, especially as it’s been posed pretty consistently as per our favourite piece of Yuji Kaida box art for the old 1/48 kit (as seen here). To be fair we are huge fans of Aura Battler Dunbine and especially of Yutaka Izubuchi’s mecha design for the series, of which the Billbine is one. So we really can’t wait for this toy. As always, you can pre-order it here and it will be retailing at around 4,500 yen at release. 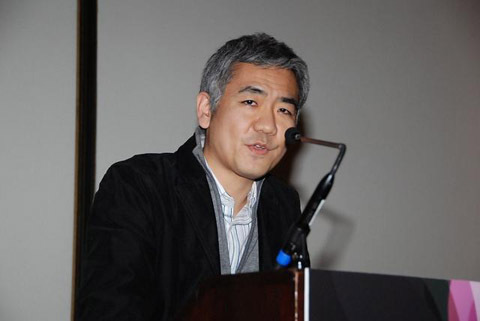 It’s been reported that veteran director/producer Toshiro Tsuchida will be leaving Square Enix. Tsuchida is effectively the founding father for the Front Mission series. There have been rumours that Tsuchida was quite ill during the development of Final Fantasy XIII, so this departure may be in part due to that. In any case, we dutifully doff our cap to a man that has helped shaped mecha gaming to what it is today and wish him well. Thanks to Chazumaru for the heads up. Courtesy of our good friends at HobbyLink Japan, we’ve been sent the Robot Damashii L-Gaim Mk. 2 toy from Heavy Metal L-Gaim. To help give the toy some context we’ve also included some videos of it from the original anime and a few games it has been featured in over the years at the end of the review. Courtesy of our good friends at HobbyLink Japan, we’ve been sent a toy that’s one of the most well known Original Generation (or OG) mecha from Super Robot wars to review. 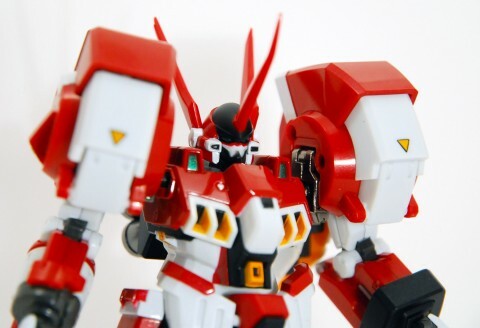 Specifically, the new Super Robot Chogokin Alteisen. In addition, to give the toy some context, we’ve also linked some gameplay footage of it in action at the end of the review. 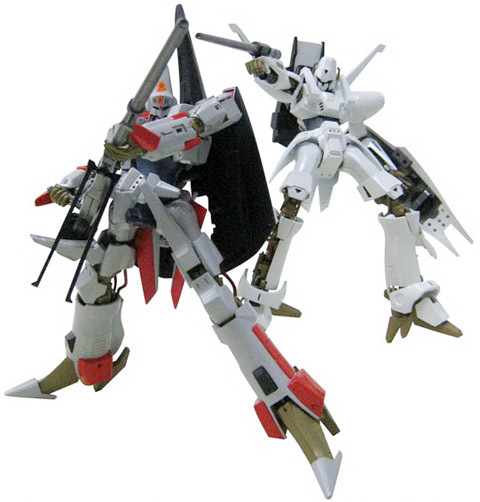 Along with a slew of other toy announcements today, Bandai have finally come clean on the fact they are indeed going to release Robot Damashii toys of both the L-Gaim Mk.I and Mk.II respectively. If you remember the Heavy Metal L-Gaim mecha, designed by the glam-rock-tastic Mamoru Nagano, topped the wishlist of fans for new Robot Damashii figures not that long ago. Unsurprisingly, with such a classic Yoshiyuki Tomino real robot series it’s been featured in numerous games over the years. From a variety of Super Robot Wars titles to the more recent first two Another Century’s Episode games (not to mention Real Robots Final Attack, but we prefer to ignore that little “gem” if we can). L-Gaim has also had quite an impressive toy history too, from lovely HCM figures to a very recent and utterly amazing Soul of Chogokin Spec toy. 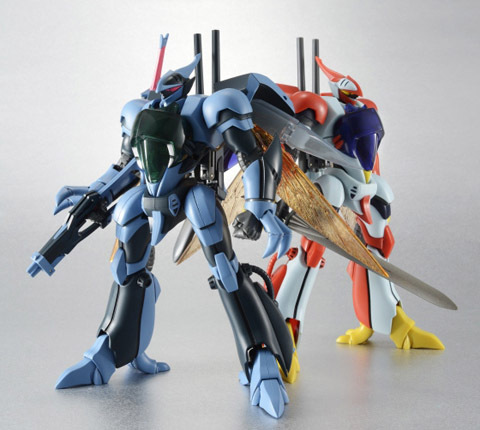 These new Robot Damashii figures will hopefully be a bit more affordable though. 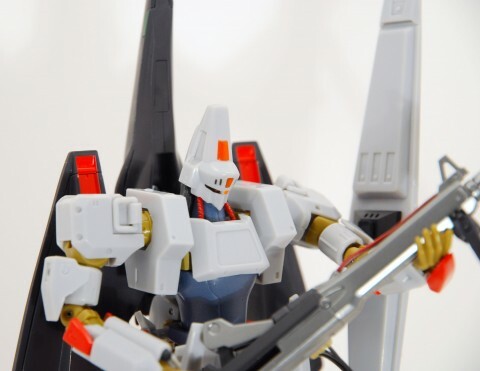 Currently there’s no word on whether the L-Gaim Mk.II toy will retain the transformation but it’s quite a simple sequence so it’s quite likely it will. Both toys will be release early next year in Japan and can be pre-ordered here and here. What with us being massive L-Gaim nerds, we’ve also linked the lovely openings from the series as well as a few game clips of the respective mecha in action below. Update: GAGraphic has some nice shots from the current Tamashii Nation show.